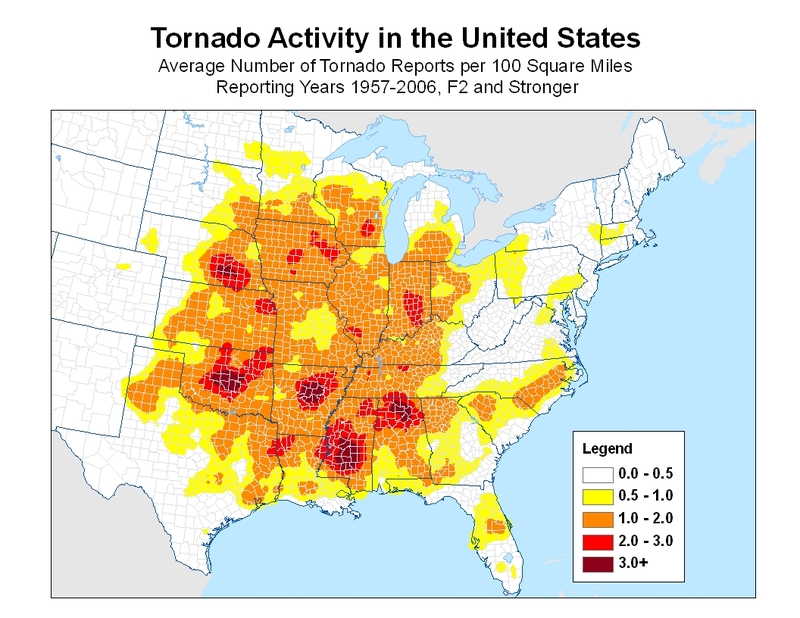 "After the most active month on record for tornadoes in our country in April, and in a year in which we are on a record pace for number of tornadoes, WeatherBell Analytics chief meteorologist and former AccuWeather.com meteorologist Joe Bastardi is forecasting even more tornadoes to hit the south in May, as an active severe weather pattern is expected to continue due to a constant battle zone setting up between the hot and cold right across the Mississippi and Tennessee Valley regions. Bastardi says that the abnormal amount of chill across the northern half of the United States this spring has pushed the severe weather zone further south and east than it would be in a typical spring season. As this pattern is expected to continue into May, Bastardi thinks that more tornado dread will continue for the same areas that have been devastated this past month, although he notes that it probably won't be as bad as April. Other impacts besides ones from the severe weather include potential flooding and late season freezes across the eastern two thirds of the nation that could have crop and commodity prices rising by early summer. These continuous Midwestern storms are delaying the crucial planting season across many areas, which will ultimately affect food supply and the economy, according to Bastardi." Even if you live in a part of the country that's not at risk for tornadoes, you and your loved ones should be smart about being safe from twisters because we travel and the weather can be unpredictable. Prevention and practice before the storm: At home, have a family tornado plan in place, based on the kind of dwelling you live in and the safety tips below. Know where you can take shelter in a matter of seconds, and practice a family tornado drill at least once a year. Have a pre-determined place to meet after a disaster. Flying debris is the greatest danger in tornadoes; so store protective coverings (e.g., mattress, sleeping bags, thick blankets, etc) in or next to your shelter space, ready to use on a few seconds' notice. When a tornado watch is issued, think about the drill and check to make sure all your safety supplies are handy. Turn on local TV, radio or NOAA Weather Radio and stay alert for warnings...If you shop frequently at certain stores, learn where there are bathrooms, storage rooms or other interior shelter areas away from windows, and the shortest ways to get there. All administrators of schools, shopping centers, nursing homes, hospitals, sports arenas, stadiums, mobile home communities and offices should have a tornado safety plan in place, with easy-to-read signs posted to direct everyone to a safe, closeby shelter area. Schools and office building managers should regularly run well-coordinated drills. If you are planning to build a house, especially east of the Rockies, consider an underground tornado shelter or an interior "safe room". In a car or truck: Vehicles are extremely dangerous in a tornado. If the tornado is visible, far away, and the traffic is light, you may be able to drive out of its path by moving at right angles to the tornado. Otherwise, park the car as quickly and safely as possible -- out of the traffic lanes. [It is safer to get the car out of mud later if necessary than to cause a crash.] Get out and seek shelter in a sturdy building. If in the open country, run to low ground away from any cars (which may roll over on you). Lie flat and face-down, protecting the back of your head with your arms. Avoid seeking shelter under bridges, which can create deadly traffic hazards while offering little protection against flying debris.